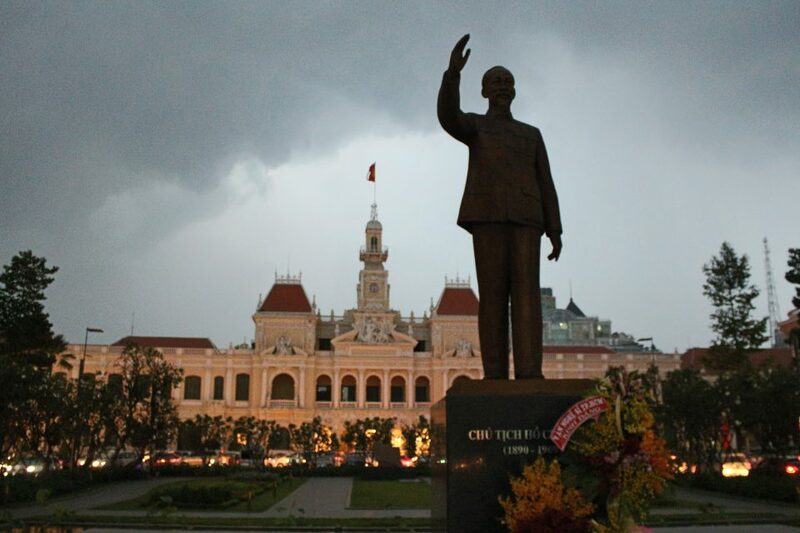 We touched down in Ho Chi Minh City! 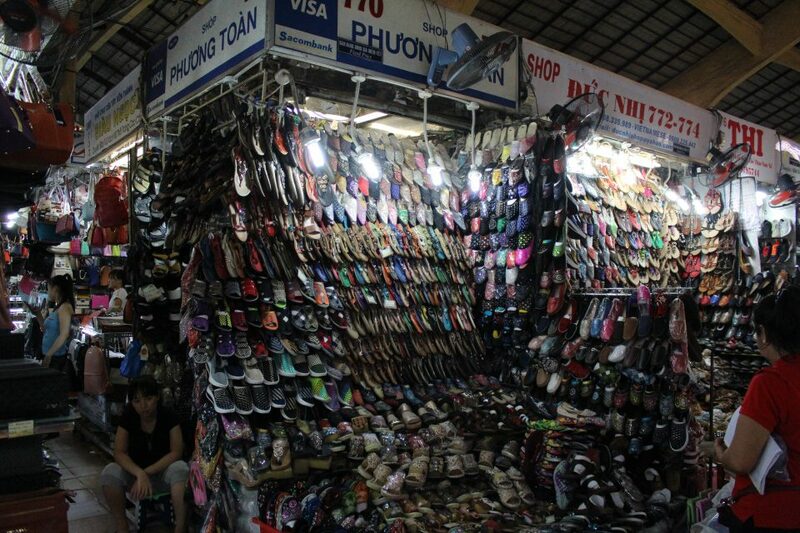 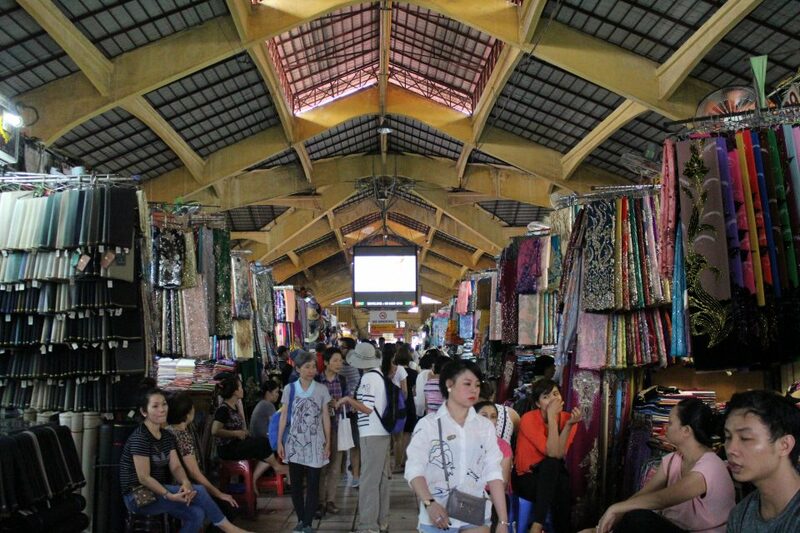 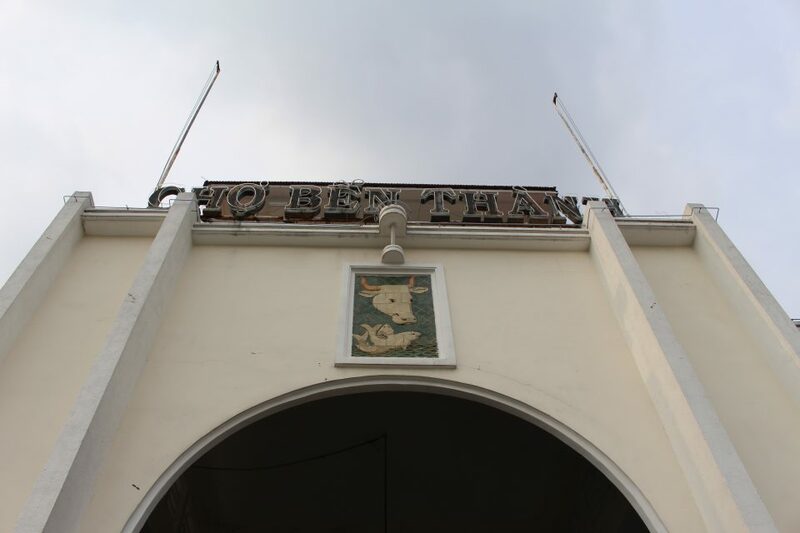 After settling in, our first stop was Ben Thanh Market, where you can haggle til you’re blue in the face! 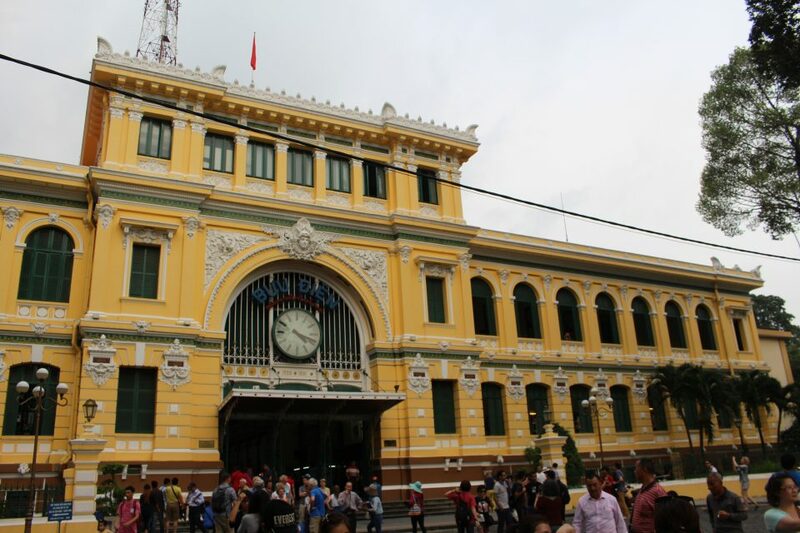 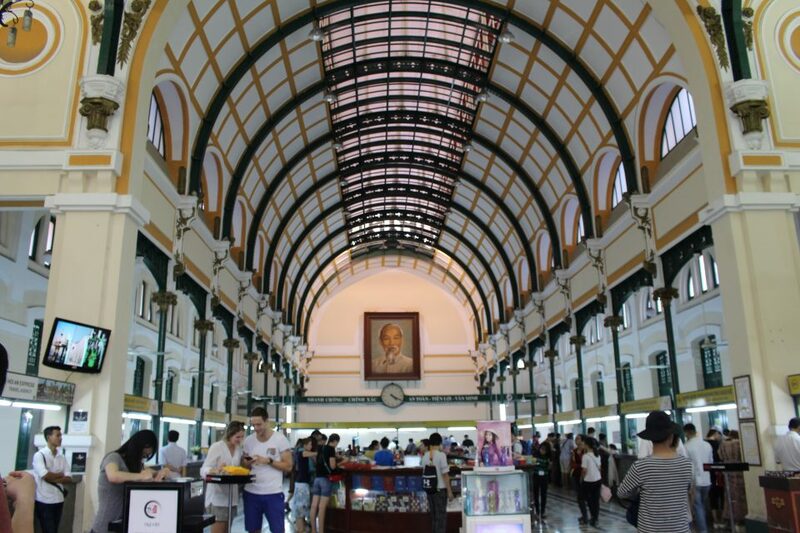 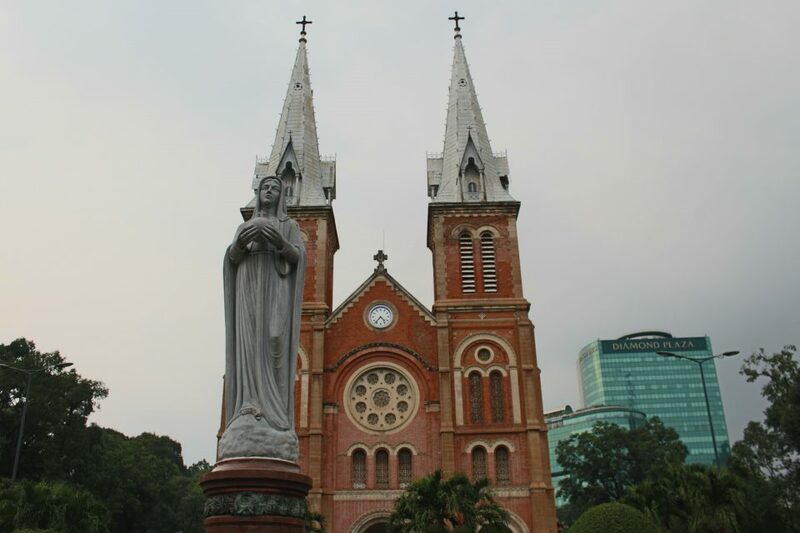 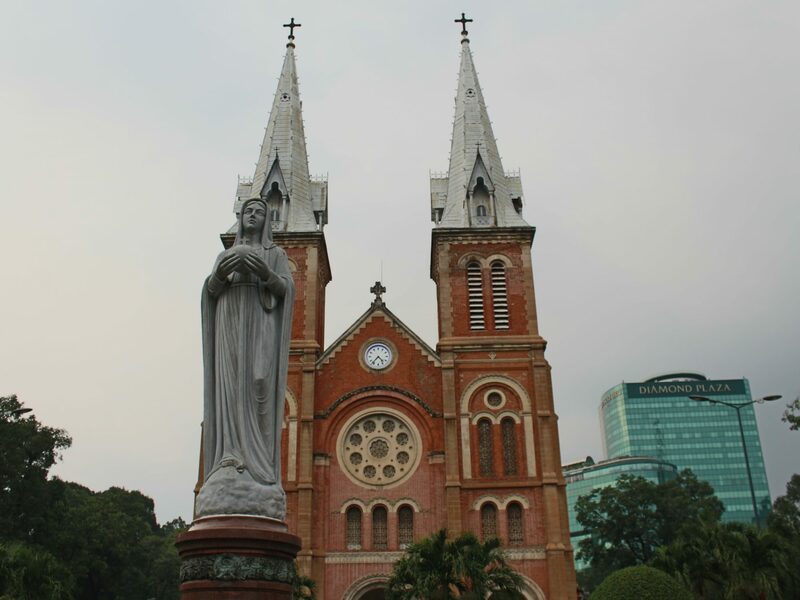 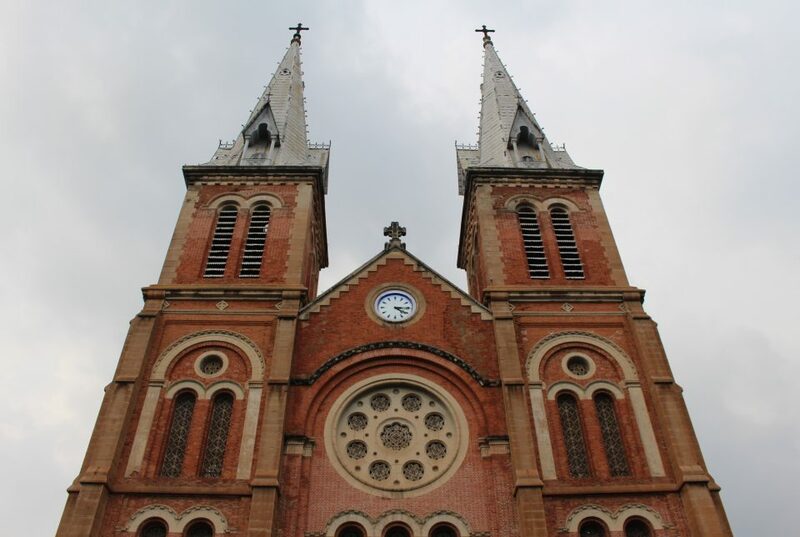 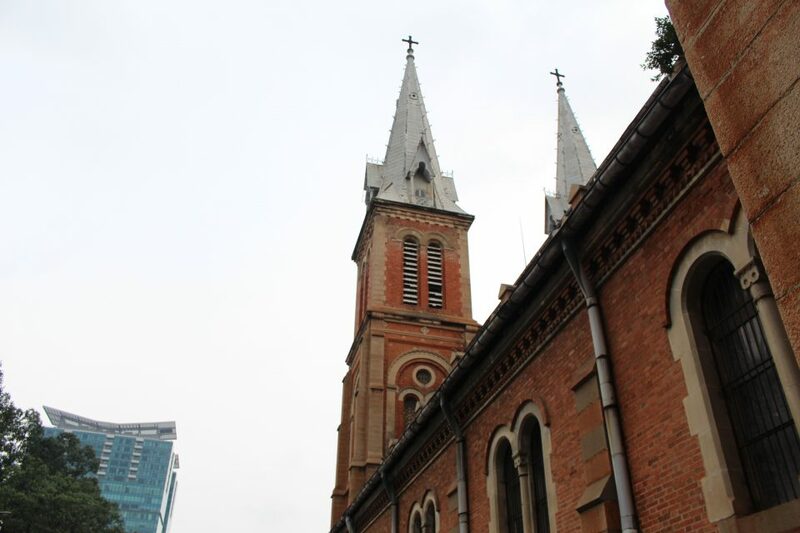 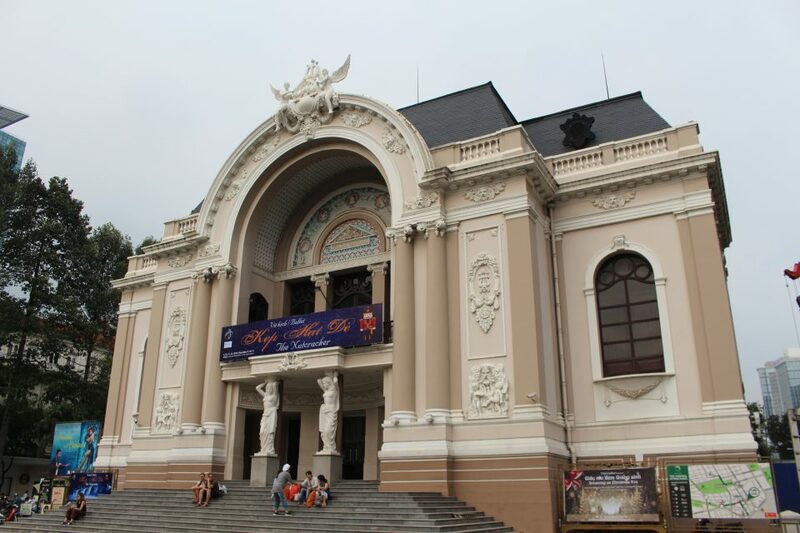 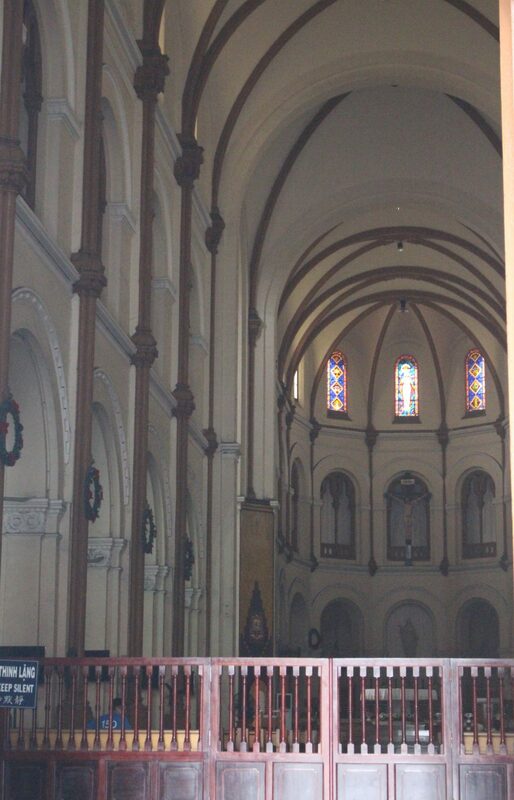 After some souvenir shopping, we walked to the Saigon Notre-dame Basilica, a central structure in Ho Chi Minh City. 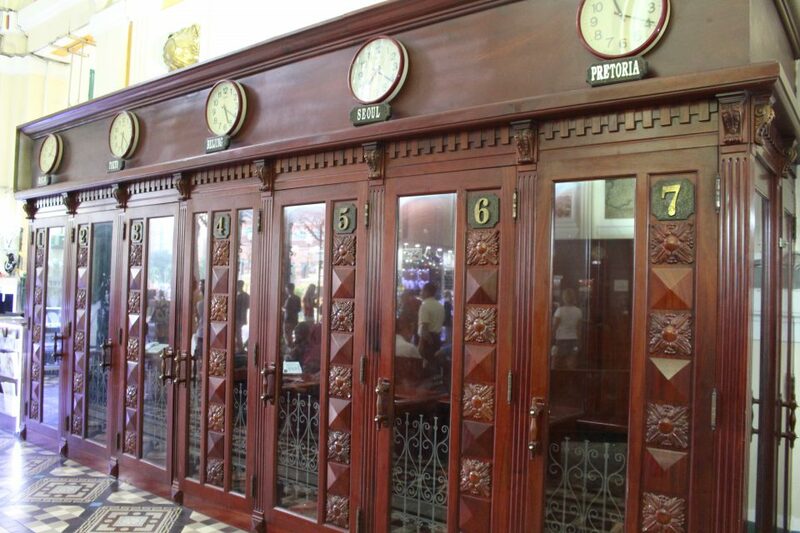 Not too far away is the Central Post Office, which is still a working colonial post office. 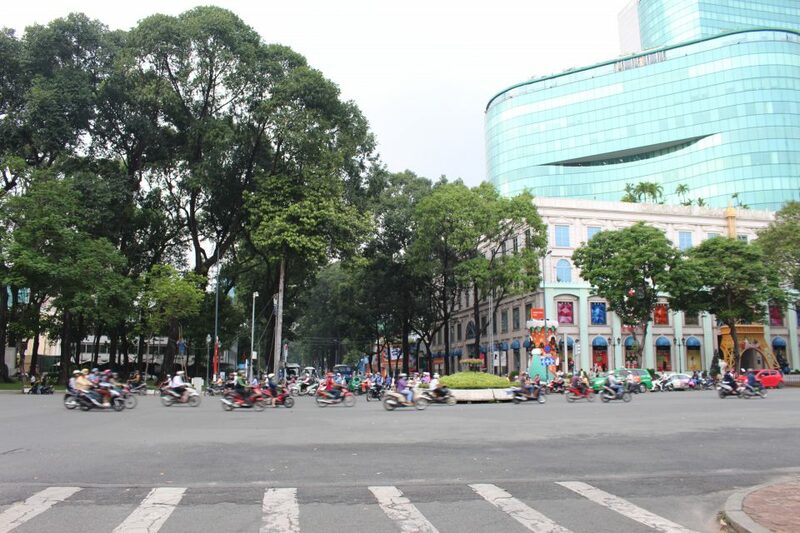 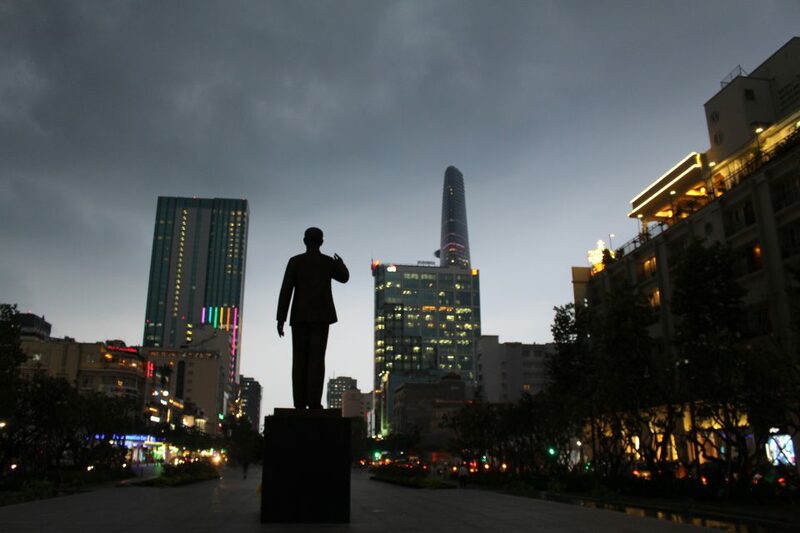 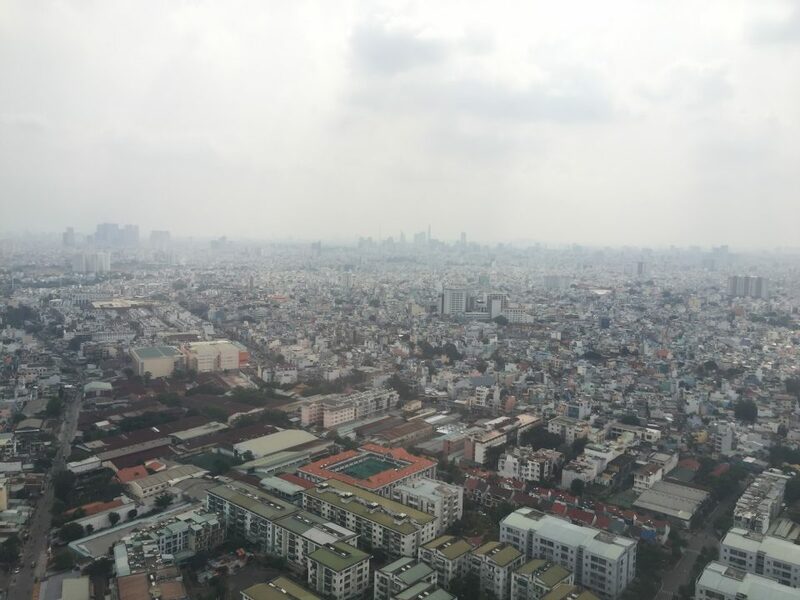 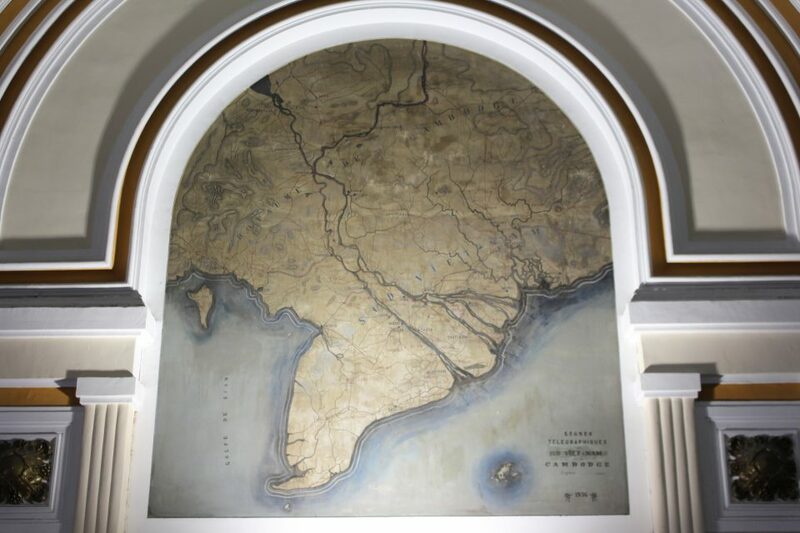 Ho Chi Minh City’s scale and size of buildings is larger than Hanoi’s. 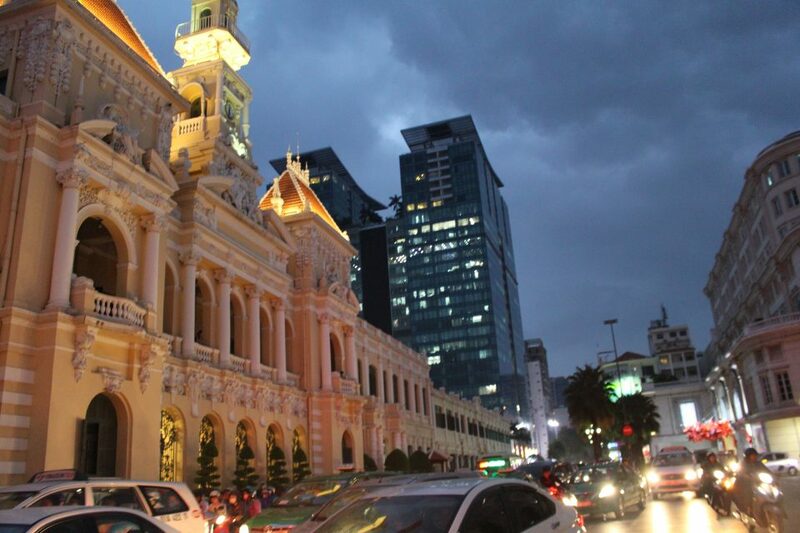 Skyscrapers are common here along with ornate French colonial-style buildings.